The 2019 Subaru Impreza is definitely in the running for most ‘Imprezzive’ model of the year. With so many features stacked into any model ranging from the 4-door convenience, touring or sport to the 5-door sport with eyesight, sport-tech, sport-tech with eyesight and more…the list could go on. The Impreza offers features that raise the bar for safety while enhancing comfort for the best driver/passenger experience. Connecting innovative technology with the classics of a comfort vehicle, the Impreza might just be the newest member of your family that is well equipped for every ride. We aren’t kidding when it comes to putting drivers comfort and safety first. With the Impreza’s Power Driver’s Se,at you can feel comfortable and suited for the adventure ahead of you. The ergonomic seats boasts increased support for all body types. The most important thing to look for is the comfort and safety that comes along with finding the right style of seating for you and your passengers. With the posture boosting seating will have your longest rides feeling easy and supportive. Along with being comfortable inside the car during your travels, it is important to outline the superior exterior safety and eyesight features that the Impreza introduces. With all of the close and tight turns that you will bring your Impreza through, feel comfort in knowing that the steering responsive headlights have you covered. The automatic on/off headlights as well as the dynamic steering responsive headlights will have the road lit up ahead of you for your utmost safety. New technology has touched the surface in the 2019 Impreza. The Reverse Automatic Braking system (RAB) uses a proximity sensor at all angles of the rear end. Instead of beeping while approaching an object, the Impreza applies the brakes lightly to ensure that the safety of your precious cargo is well kept. This safety feature is available on Sport and Sport-tech trims equipped with eyesight technologies. While feeling safe from relying on the Imprezas pristine exterior safety technology, upscale your comfort level by mixing in the 8-inch infotainment system. This system integrates smartphone technology, STARLINK apps and services as well as Apple CarPlay and Android Auto functionality. Leave the safety to the technology and the entertainment and comfort to your own synched audio! Navigate anywhere you need to be with the infotainment system while riding in style. This Subaru Rear/Side Vehicle Detection System (SRVD) with Blind Spot Detection, Lane Change Assist and Rear Cross Traffic Alert has your vehicle on guard for you already! The blind spot detection will help you rid the pesky scares when it comes to lane changes and making the right/safe choices during the drive. This Blind Spot Detection uses LED technologies inserted in your side mirrors inside the mirror surround to identify vehicles approaching from either angle. When it comes to lane changes, the Assist and Rear Cross Traffic Alert will detect quick, oncoming cars so that you can be alerted and make the safest choices. 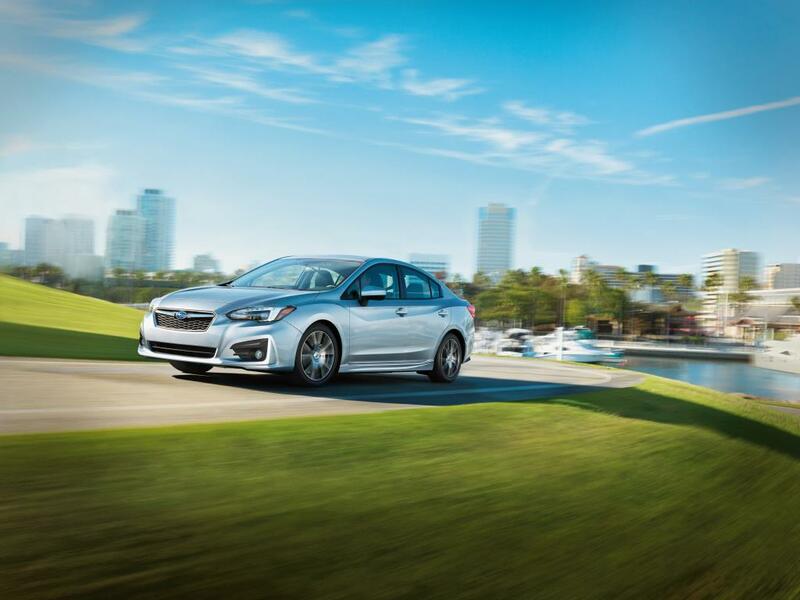 The Impreza comes fully equipped in multiple different ways, giving you, the driver and passengers, the utmost safety, style, and comfort you could find in a new 2019 Subaru model. This is just the tip of the iceberg for what there is to know about the 2019 Subaru Impreza. Visit us at Subaru of Niagara to learn more.